You may not have known that hospital indemnity insurance exists, but it does and has been around for years! Many people dread going to the hospital in the first place because no one is excited about poor health or a high bill. You may not have known that hospital indemnity insurance exists, but it does and has been around for years! Many people dread going to the hospital in the first place because no one is excited about poor health. Then, after your hospital stay, you may find yourself upset because of a high hospital bill. Even with good healthcare insurance, hospital visits are still costly. On average, most hospital stays can last up to five days and cost thousands of dollars. If you’ve ever been sent to an emergency room before, then this valuable information applies to you. Keep reading to understand what you should know about hospital indemnity Insurance. This type of insurance pays you for going to the hospital. It covers the expenses that you have to pay out-of-pocket. It doesn’t matter the reason why you visit the hospital. Fixed plans cover your expenses fully. If your ambulance ride, hospital admittance, and being in the hospital for five days costs you 10,000 dollars, then the money gets paid directly to you and can be used for deductibles, copays, coinsurance, or nonmedical reasons such as bills. 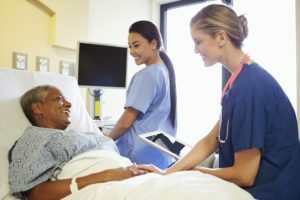 What you should note is that not all hospital indemnity insurance plans fall in line with your healthcare coverage and don’t need to. However, some policies can act as a traditional healthcare plan. You may receive a medical card if this is the case. One of the top reasons for debt in America stems from medical causes. Medical bills are costly. A way to save money is to drop or lower your healthcare plan and invest in this type of insurance. If you’re a person who rarely gets sick, and only needs checkups or routine maintenance, then maybe this plan is for you. Premiums also don’t skyrocket and relatively stay the same unless your state mandates that all policies must increase. There are several factors for determining this, such as what state you live in, how old you are, and if you decide to add family members onto your policy. Hospital indemnity insurance is typically cheaper than traditional health coverage. This entry was posted on Friday, March 29th, 2019 at 9:23 am. Both comments and pings are currently closed.